After another poor season, the Spirit have decided to move in a new direction. 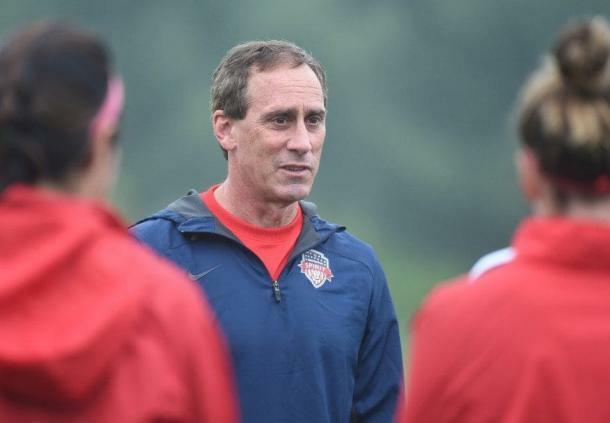 In a move that many thought would happen at the end of the season, the Washington Spirit have decided to make the plunge now and remove Jim Gabarra as the head coach and general manager. The Spirit also announced in their press release that assistant coach Tom Torres will be in charge for the remainder of the season and he search for a new head coach will begin once the season ends. The timing of it is more surprising than the actual firing itself as the Spirit have floundered in the National Women's Soccer League for two consecutive seasons despite having solid players in their roster. Gabarra as the general manager, may have managed to bring such good players to Washington but he has shown that he cannot coach them and thus, the Spirit have decided that now is the time to rectify the coaching of the team. 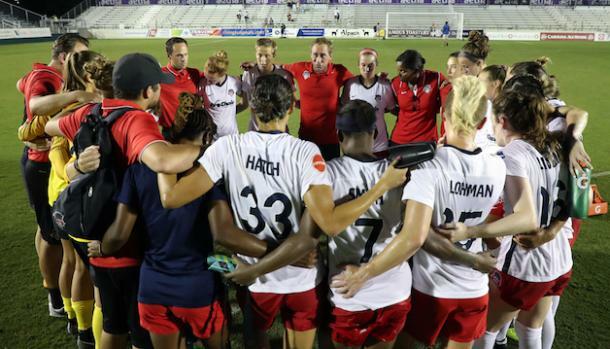 At the beginning of the 2017 season, the Spirit after finishing second and reaching the NWSL Championship, lost many key members in their squad. Ali Krieger was traded to the Orlando Pride, Christine Nairn and Diana Matheson were traded to Seattle Reign FC and Crystal Dunn left for Chelsea F.C. Women. Those were big blows for the team but it seemed as though most if not all of these players left due to being unhappy with Gabarra and the club's overall professional conditions. Many though that the Spirit would struggle after losing so much of their spine and despite being able to bring in Mallory Pugh during the season, the Spirit did struggle and ended up in 10th that season. The 2018 season loomed and due to the Dispension Draft and the 2018 NWSL College Draft, Washington were able to add some exciting prospects to their team. Andi Sullivan was selected first overall in the draft and Canadian international Rebecca Quinn was then selected third overall. The Spirit also managed to pick up Rose Lavelle after the Boston Breakers folded and Gabarra must be given credit for managing to maneuver around enough to be able to bring in those players. 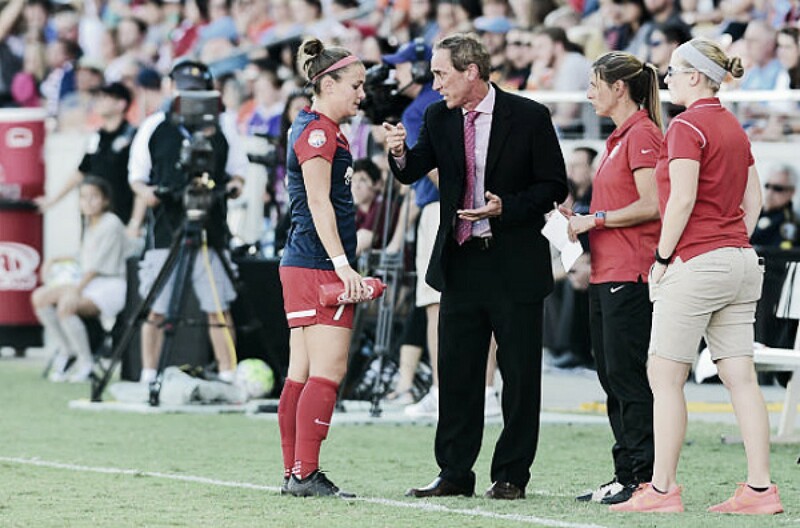 ​Spirit owner Bill Lynch wished Gabarra the "best of luck" in his statement on the club's official website after saying that Gabarra had "put as much of his heart and soul into women’s soccer, this league and this team as anyone". While that may be very much true, the former Spirit head coach showed this season that he could not coach/manage the talent he has at his disposal. The Spirit currently sit in eighth with only two wins to their name. The Spirit's biggest issue has been scoring goals as they only have 11 total so far and that is a poor indictment of Gabarra's coaching especially when you consider who he had in his roster. The Spirit have three more games left this season, all at home. This Wednesday, they play against Utah Royals FC who are battling for a playoff spot, Portland Thorns FC on Saturday who are also looking to book their playoff berth, and Sky Blue FC one week later who will be trying to not finish their season winless. The Spirit have a chance to salvage something out of their season with these three remaining games and maybe without Gabarra at the helm, we may finally see exactly how good Washington can be.